Following the International AIDS Society Conference on HIV Pathogenesis, Treatment and Prevention in July 2015 in Vancouver, the Canadian Positive People Network (CPPN)/ Réseau Canadien Des Personnes Séropositives (RCPS) is pleased to announce it is now officially registered as a corporation, a community-based network for and by people living with HIV under the New Canadian Not for Profit (NFP) Act. It’s an idea long in the making. 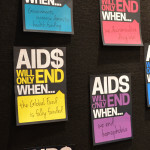 At the 1993 Canadian AIDS Society (CAS) Meeting in Montreal, Canadians living with HIV first discussed the formation of a network for and by people living with HIV like many other countries across the world have. Although this network never materialized, the idea has arisen repeatedly within the community since. With the formation of CPPN/RCPS 22 years later, this goal is finally reached and people living with HIV across Canada at last have an independent, national voice and re-claiming their place at the forefront of the movement. CPPN/RCPS has its roots in the Global Network of People Living with HIV North America (GNP+NA), an international North American network of people living with HIV with a board of directors from both Canada and the U,S. In March 2015, GNP+NA in Canada received a notice from Corporations Canada to comply under new Canadian Not-for-profit (NFP) regulations. Keeping the interests of Canadians living with HIV as the primary focus, the Canadian board members of GNP+NA agreed that a timely opportunity has arrived to create a new, independent, national network for and by people living with HIV. “This regulatory process has allowed CPPN/RCPS to emerge as a network where we can engage people living with HIV and affected communities meaningfully. Next step is to create by-laws for ratification,” says Christian Hui, a Community Activist involved with the formation of the network. The idea of CPPN/RCPS was introduced publicly during the CAS Persons Living with HIV (PLHIV) Forum and Annual Meeting in June 2015 in Ottawa, where it garnered support, feedback, and interest from people living with HIV as well as AIDS Service Organizations present from across Canada. Within days, close to 80 people living with HIV across the country had joined up. and collaborate with local and regional positive networks and AIDS service organizations, and to join the ranks of Canada’s national partners, to ensure the needs of people living with HIV are heard. “As a network, we will hold the government, policy makers, pharmaceuticals, and the sector accountable to ensure human rights and health equity be upheld for all Canadians living with and at-risk for HIV and HIV co-infections, and that we all work in partnership to end the epidemic,” says Hui. CPPN/RCPS is pleased to announce that PositiveLite.com (http://www.positivelite.com/), Canada’s award-winning Online HIV magazine with a five year record of successfully giving a voice and providing news and analysis to people living with HIV, has agreed to be our official media sponsor. The network would also like to thank the Ontario HIV Treatment Network (http://www.ohtn.on.ca) and the REACH 2.0 Collaborations and Solution in HIV, HCV and STI Research of the CIHR Centre for REACH in HIV/AIDS (http://www.reachprogramscience.ca/) for their generous support to provide the use of the Basecamp® online project management platform to facilitate the engagement of PLHIV across the nation.